I found this great old picture awhile ago and it's been sitting in the various folders on my computer. Rather than consign it to just being put up on my blog's Facebook page I decided to take some time to deliver a history lesson for those who may not know. Lets turn back the dial to the 1920's, most people lived in the city or the country, there were no "suburbs" yet as we know them today. The automobile had finally gained popularity however most people couldn't afford one so they rode the streetcar. Every city had streetcars and in some areas there was a network of interurban lines that would take you between cities, a concept that was popular in the Ohio Valley. With success comes jealousy though and in this case it would take root in the heart of some corporations you may know about, Standard Oil (Exxon), Goodyear and GM. See, even back then corporatism had taken hold. Why compete in a capitalistic way when you can drive your competition out of business through government regulation? The idea was soon hatched by these nefarious companies to form a new company called "National Lines". 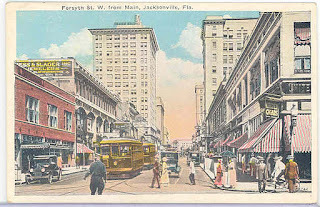 It was envisioned that within 30 years the streetcar companies could be driven out of business through buyouts and enticements to cities. 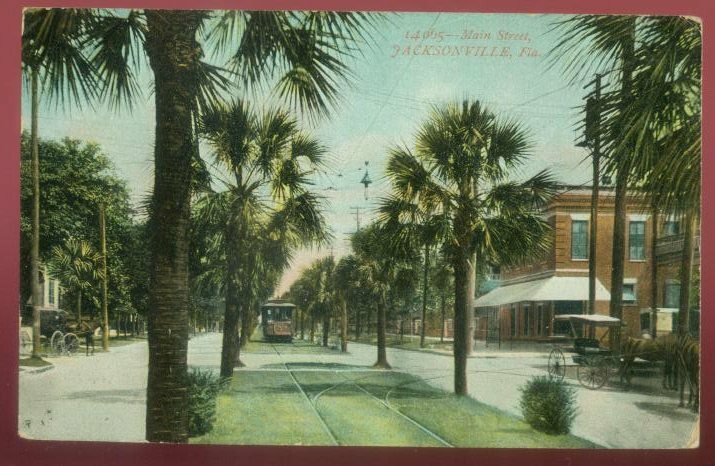 Florida was their real testing ground to see if it would work and hence Jacksonville became a battleground in the war against rail. National Lines came in and showed off their new shiny buses to a wowed city council and the days of the streetcar were soon numbered. 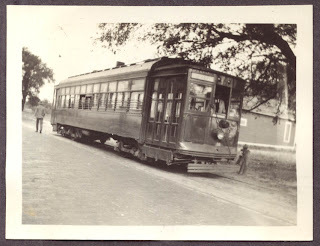 By December 1936 the final streetcar made it's run and went to the sheds, an era was over. What happened in Jacksonville was repeated over and over again across America. One of the last cities that lost it's streetcars was Baltimore, Md. Shortly after the National Lines was exposed as a trust out to break rain in favor of the car and bus manufacturing companies. A scandal was created and fines were levied but in the end it was a poor punishment for the loss of our streetcar systems. The damage had already been done at this point and it would be 50 years before cities started embracing the streetcar again. 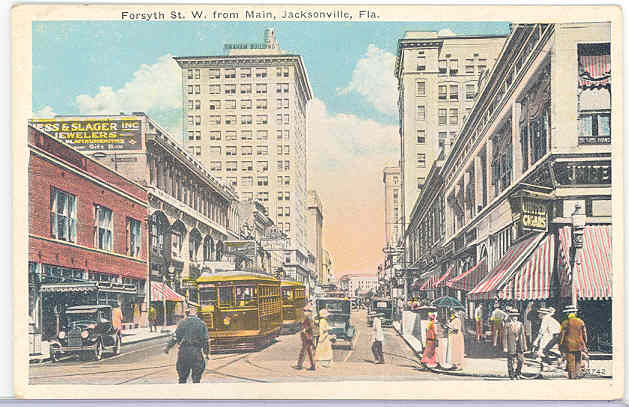 Tomorrow Next week, I will write about the rebirth of the streetcar and how it affects Jacksonville. Sorry I have to put off part 2 until next Friday as other things came up. I will link to it in this article when it's posted.